The Nordic Stella MS is designed with Hydrotherapy and Value in mind. It has deep bucket seats and a lounger with DTSTM whirlpool for a full body massage. 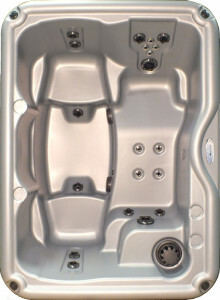 Jets abound and has a premium foot well light and optional Northern Light Package.